Leicester City have secured the services of defender Robert Huth on a three-year deal. According to SkySports, the Foxes paid a fee in the region of £3 million for the German defender. 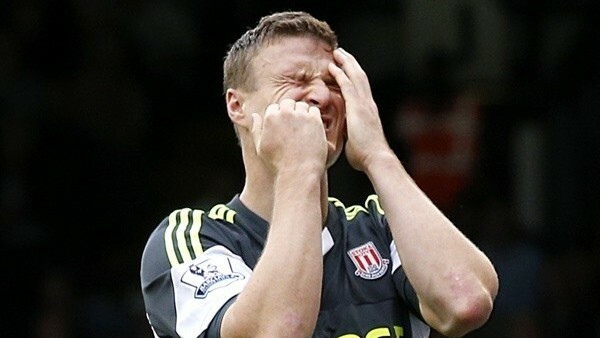 Huth, who spent six seasons with the Potters, took to Twitter to announce his move minutes after the news broke. https://twitter.com/robert_huth/status/613739979878100992 The experienced defender spent the second half of last season on loan at Leicester and helped the team to avoid relegation by finishing 14th in the Premier League. Huth, alongside Wes Morgan and Marcin Wasilewskil, formed a tight defence in front of goalkeeper Kasper Schmeichel keeping five clean sheets in the run-in to the season finale when the Foxes secured vital 22 out of 27 points to stay up. The 30-year-old began his career at Chelsea and won the Premier League title twice in the four seasons at the club. However, he didn't feature regularly during Jose Mourinho's first tenure at Stamford Bridge which prompted a move to Middlesbrough in 2006. Huth subsequently left for Stoke City when Boro were relegated in 2009 after after 11 seasons in the elite. At Britannia Stadium, the tall German became a key figure in the Potters' defence managing 188 appearances and scoring 18 goals. The centre-half has been plagued by injuries in the last couple of years. His long-term knee injury forced him out for much of the 2012/13 season when he underwent two surgeries and couldn't establish himself under Mark Hughes. Football and tennis-mad sport journalism graduate and occasional music reviewer from the south coast of England. Originally from Bulgaria.